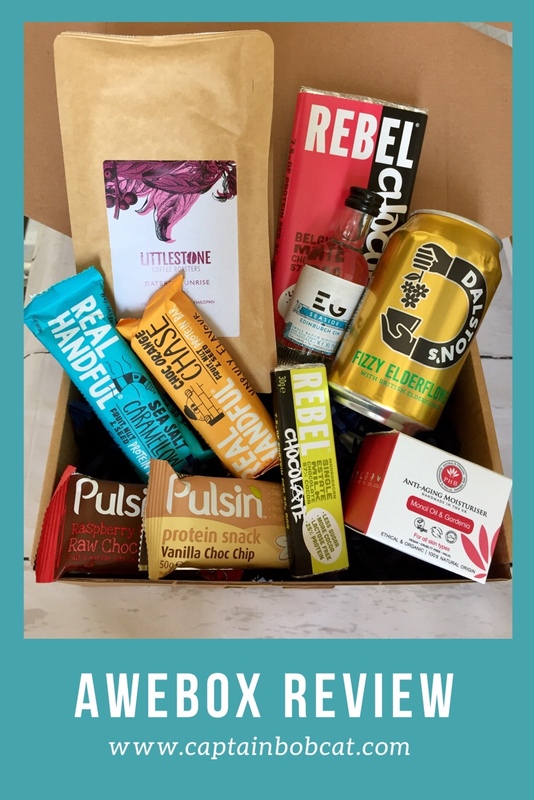 I do like subscription boxes, because I can try products which are normally not on the supermarket shelves and they are produced by small and independent businesses. Well, that’s the idea I like about them, but of course not all subscription services provide this. Also, I’m always after new, ethically produced, cruelty free and healthy products. Some subscription services do these, but not many to be honest. At least, not many targets specifically the green and ethical lifestylers, like me. But here comes Awebox, a fully customisable subscription box. They have kindly sent me a box to try some of the products they offer. So the idea is, that first you can choose, if you are going for the monthly subscription or the one off box. Then, you get to decide what type of products would you like to receive in your box. You can choose 4, 5 or 6 categories to build your box and there are 20 categories to choose from. 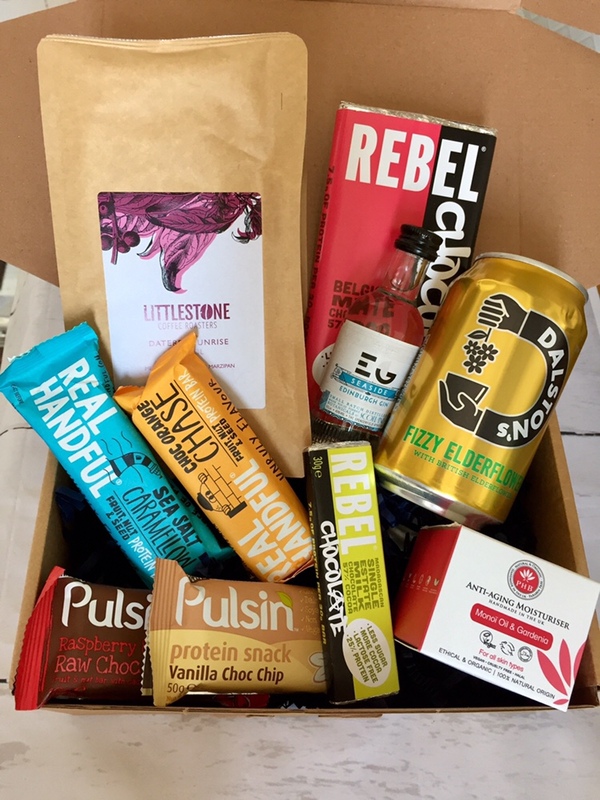 (Prices for the different size boxes range from £20 to £28) Categories include beauty, vegan, gluten free, sweet, protein, gin, coffee, pet treats and some more. So I picked vegan, chocolate, gin, beauty, coffee. I have also asked if I can get a cruelty free beauty product – and the answer was yes. (Most of the new comers of beauty producers are already all leaping bunny approved anyway.) You can also pick different things for each box, you don’t have to stick to your initial selection. Well, that is a very impressive selection. Wow. It’s almost all gone now, excluding the moisturiser and the coffee. I loved them all. The Real Handful bars were my favourite nibbles (the salted caramel one was heavenly! ), followed by the Belgian Rebel Chocolate. The Littlestone coffee with marzipan was really special – perhaps rather wintery flavour, for Christmas. The Dalston’s elderflower drink was very refreshing – the can does the magic with all fizzy drink, I guess. It just tastes better from a can. (It also recycles in 100%.) I absolutely loved the anti-aging moisturiser with monoi oil and gardenia from PHB and this along with the Real Handful bars I will keep continue buying. I’m so glad that I discovered them! I have received the box in exchange for my unbiased and honest review – and I really liked what I received! I love the range of products included here. I would love to try the moisturiser and the fizzy elderflower they sound great. What a fantastic range of products. I love that they’re ethical too. The real handful bars wouldn’t last long in this house either. Awebox sounds a great subscription box. I love that it is so customisable but the contents are still a surprise. That’s so true. I hate receiving useless things too. I’ve been looking for some protein bars for Ieuan – he gets soo hungry and it would be great to have some healthy ones. Great selection of products. No other subscription boxes allow you to do that as far as I know.